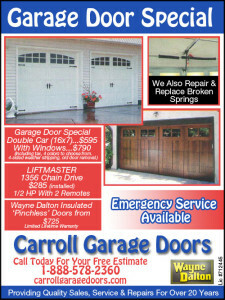 Your new garage doors in Las Virgenes CA should deliver an optimum balance of beauty and functionality. We’ll be happy to help you browse our collection of doors and find the one whose color and design details will best complement the style of your home. Our staff will also educate you about the construction of different doors and help you choose one that will perform well over time. You may also be interested in other aspects of the door’s performance, like quiet operation and thick insulation. Don’t forget to consider upgrading your garage door opener when you purchase a new garage door. You may have to do this to get enough power to lift the new door, or you may just want to enjoy new technology. 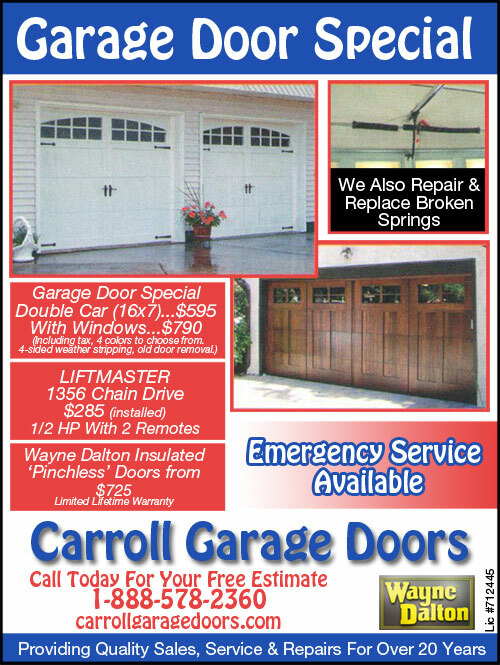 Once you’ve invested in new garage doors in Las Virgenes CA, you naturally want to protect this investment by getting professional installation from Carroll Garage Doors. We’re so sure our technicians will do a superior job, we back installation with a warranty. When you buy new garage doors from us, we will rehang your old garage door openers to fit the new doors at no extra charge.